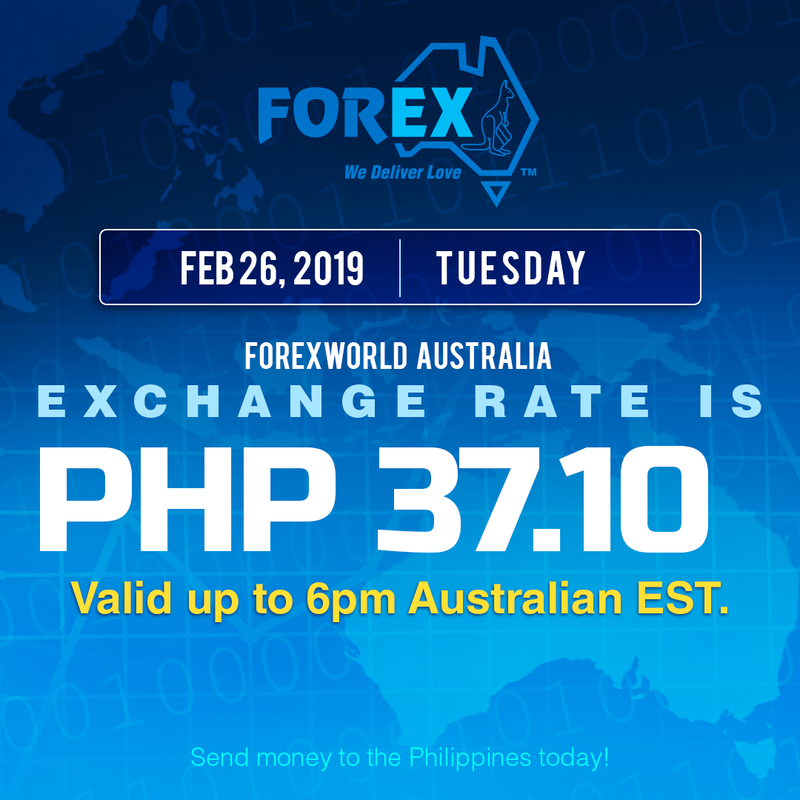 Forexworld Australia Exchange Rate February 26, 2019 (Tuesday) is PHP 37.10 valid up to 6pm Australian EST. 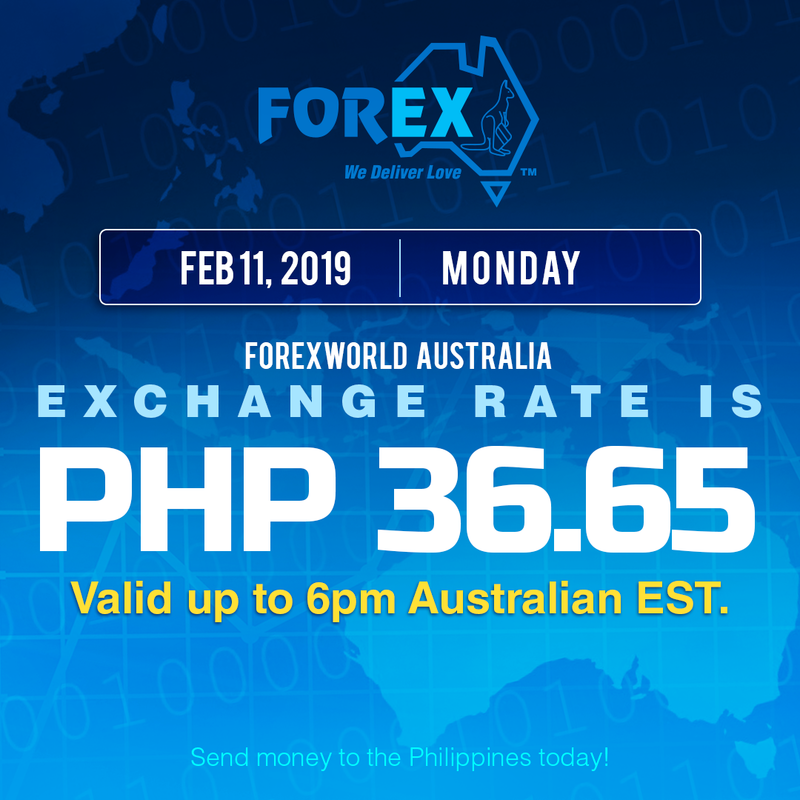 Forexworld Australia Exchange Rate February 25, 2019 (Monday) is PHP 36.90 valid up to 6pm Australian EST. 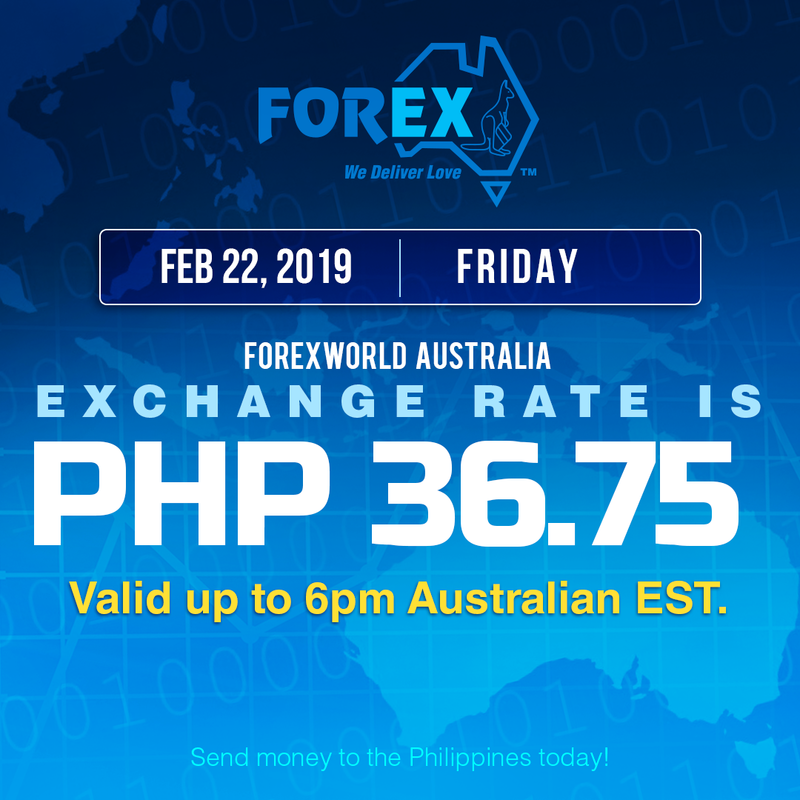 Forexworld Australia Exchange Rate February 22, 2019 (Friday) is PHP 36.75 valid up to 6pm Australian EST. 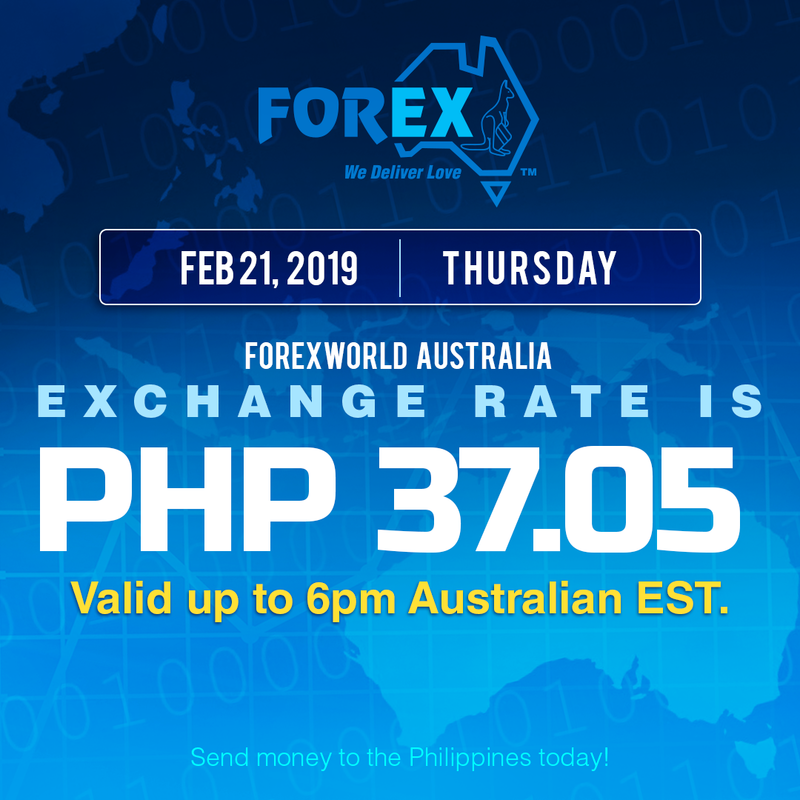 Forexworld Australia Exchange Rate February 21, 2019 (Thursday) is PHP 37.05 valid up to 6pm Australian EST. Forexworld Australia Exchange Rate February 20, 2019 (Wednesday) is PHP 37.20 valid up to 6pm Australian EST. 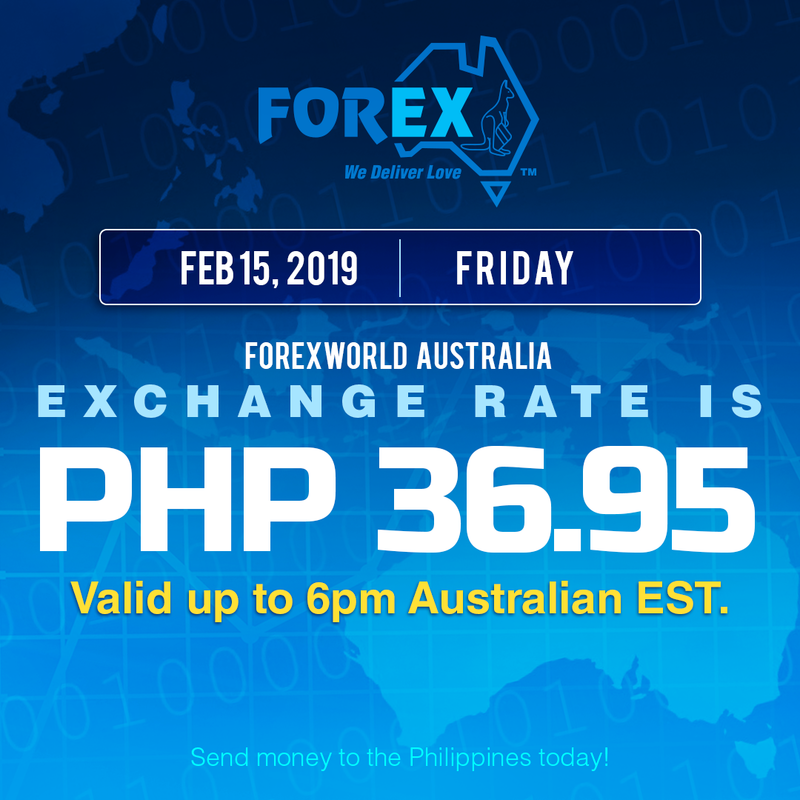 Forexworld Australia Exchange Rate February 15, 2019 (Friday) is PHP 36.95 valid up to 6pm Australian EST. 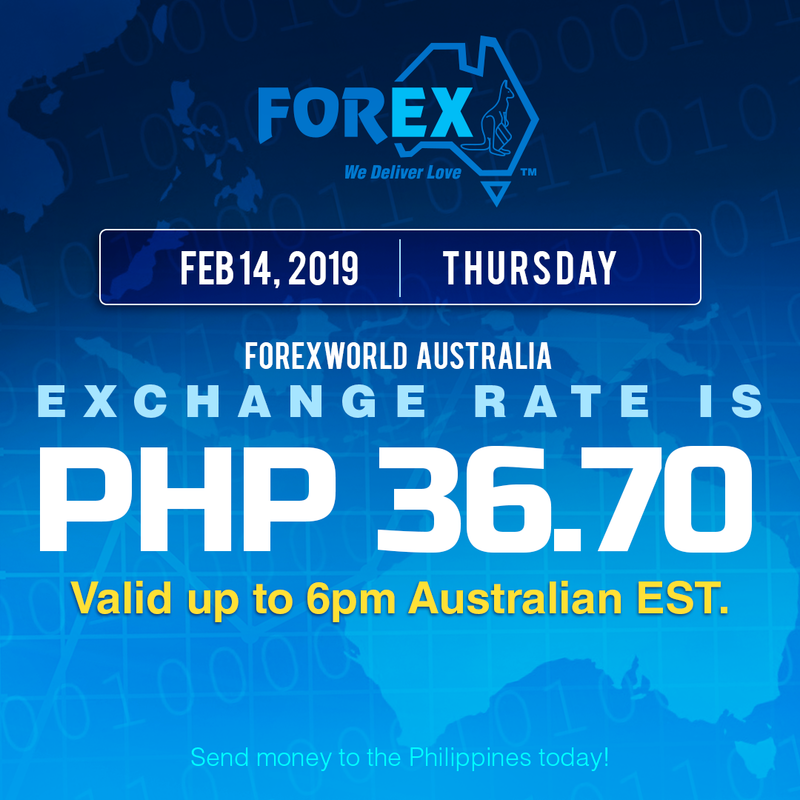 Forexworld Australia Exchange Rate February 14, 2019 (Thursday) is PHP 36.70 valid up to 6pm Australian EST. Forexworld Australia Exchange Rate February 13, 2019 (Wednesday) is PHP 36.75 valid up to 6pm Australian EST. 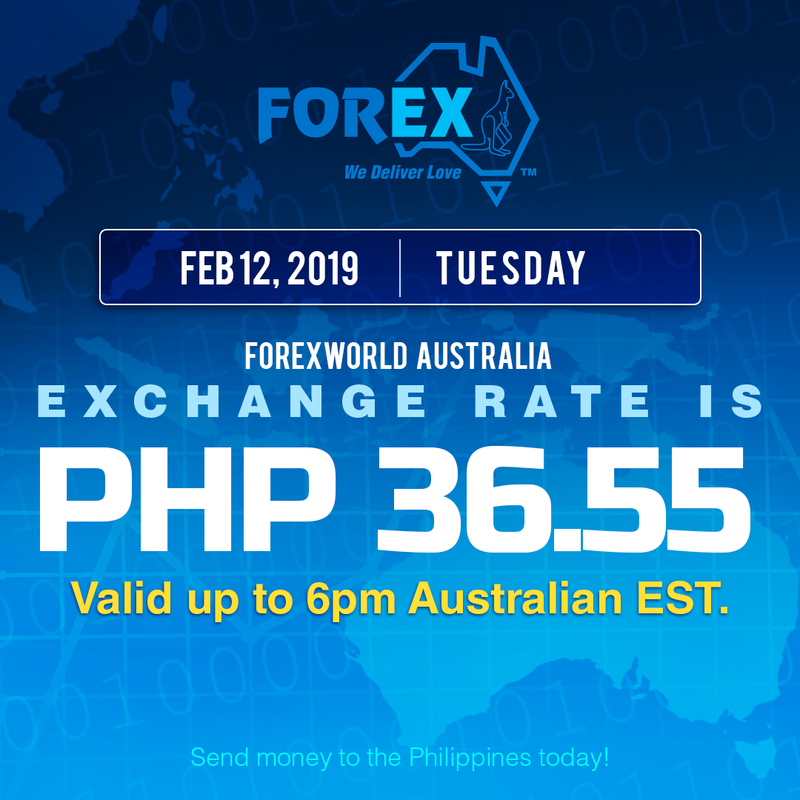 Forexworld Australia Exchange Rate February 12, 2019 (Tuesday) is PHP 36.55 valid up to 6pm Australian EST.